Meet Eric Swalwell, graduate of Wells Middle School, Dublin High School (Class of ’99), University of Maryland (law degree) and Prosecutor with the Alameda County District Attorney’s Office. 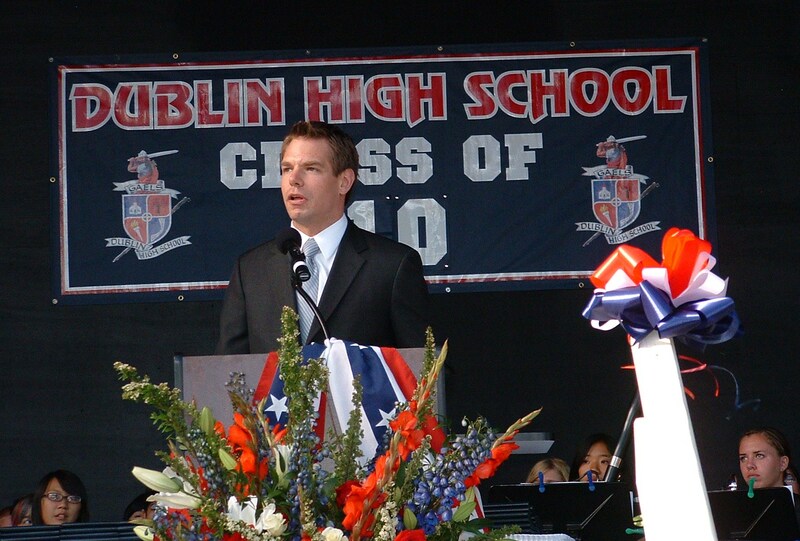 Eric is also President of the Dublin High Alumni Association and is planning to run for Dublin City Council in the 2010 midterm election [UPDATE – Eric was elected to Dublin City Council in the 2010 midterm election and was elected to represent California’s 15th Congressional District in the 113th Congress]. Eric was very active in Dublin High’s Athletic Program – in football where he was a member of an NCS semi-finals team as well as on the tennis team. 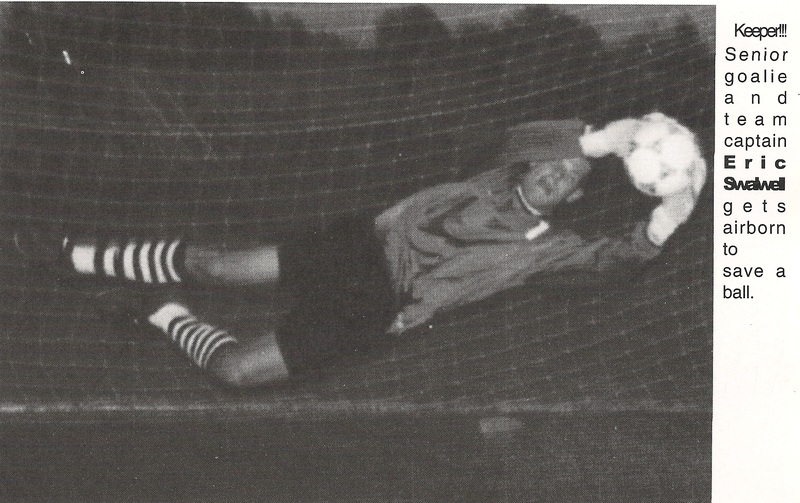 Eric was a member of Dublin High’s soccer team for four years playing goalkeeper, was named team MVP in his senior year and made First Team All-League, Tri-Valley Athletic Conference. With three younger brothers, Eric counted on a sports scholarship to make college an affordable reality and was mentored by Dublin High Class of ’98 graduate Chris Doyle. Doyle later went on to college with an athletic scholarship and ultimately played professional soccer in Britain. Taking advantage of everything Dublin High had to offer, Eric also performed in the Dublin High Drama Club production of Macbeth (nudged by his English teacher who also taught Drama), was a member of the Leadership Team, the Mock Trial Team (under the tutelage of Dublin High School teacher and City of Dublin Mayor Tim Sbranti), took journalism and wrote for the Dublin Gael Gazette (now the Dublin Shield) and led Homecoming as Rally Commissioner. 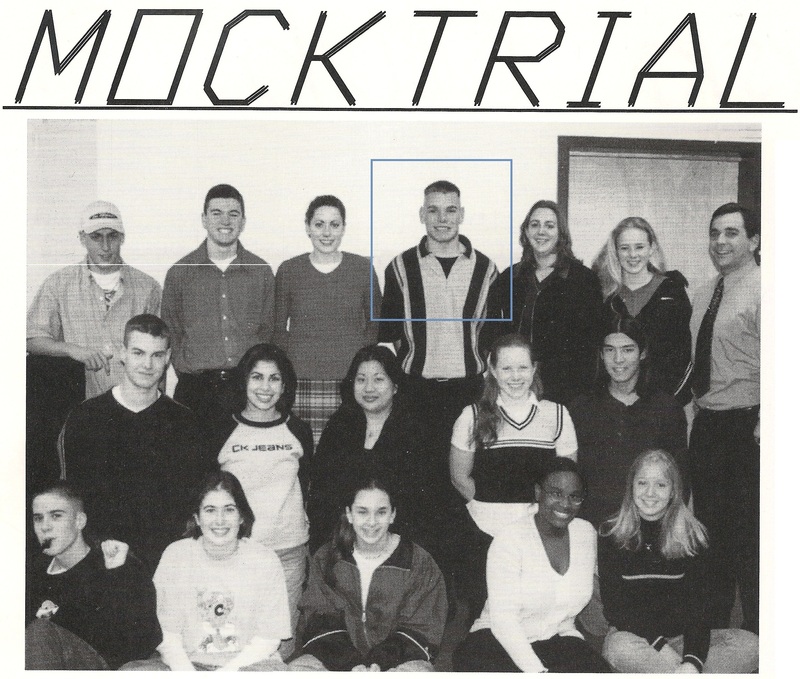 Eric’s Gael Gazette journalism assignment as a senior in December 1998 would foreshadow his future role as a prosecutor – he was tasked to write about the tragic shooting of Alameda County Deputy Sheriff John Paul Monego during a botched robbery of Outback Steakhouse in Dublin. Eight years later Eric joined the Alameda County District Attorney’s Office as a prosecutor – the same office that convicted Deputy Monego’s killer. Eric’s hard work in the classroom, on the soccer field and in extracurricular activities earned him a full academic and athletic scholarship to Campbell University, majoring in Government and Politics. A soccer injury ended his athletic aspirations and prompted a transfer to the University of Maryland where he continued his studies, worked as an intern on Capital Hill and ultimately earned a degree in law. After earning his law degree, Eric returned home to Dublin, passing the bar exam and took a job with the Alameda County District Attorney’s Office where he works today as a prosecutor. Looking back at his Dublin High School experience, Eric advises students to take advantage of the diverse academic, athletic, performing / visual arts and extracurricular options Dublin High has to offer. ← Saving your child’s back – should iPads replace the textbook? Looking forward to your campaign event @ Karma on Monday. Soccer player? All the more reason to vote for you! Dublin is ready for Eric Swalwell. Congratulations Councilman! Glad to see an old Wells alum goes far! Now the work begins and if you do good, as I’m sure you will, you can take the next step which is?? Please say hi to your mom and dad and family.